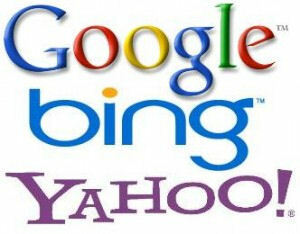 You are here: Home / Search Engines / Bing / Google Versus Yahoo+Bing: Is There A War? War isn’t yet over. That’s exactly how a fighter would respond after losing in a battle, and this seems to be like the case of Yahoo and Bing that have placed second with a total of 28.1 percent in the recent search engine ranks or statistics released by the comScore. Google won the search game with 66.7 percent. Perhaps, it’s not surprising for many to know that Google would be on top, but as to the Yahoo with only 12.2 percent, that’s somehow a fact which was not expected. How ironic has the result been for the allied “forces” of the two engines that they haven’t even acquired half of the percentage gained by Google. What’s the matter with this? Does this mean an ultimate dominance of the latter among the global users? And what could have been the factors of this resultant? These are too common to ask for, but when you try to search and analyze, you might also wonder about these “search wars” as termed by Doug Leeds, CEO of Ask.com, who had also been part of Yahoo team before. Leeds, in the post of Editor Greg Sterling of Search Engine Land, proclaimed that “the search wars are over and Google’s won.” Sounds like a fair statement for a fair game. But that’s not good to hear for the opponent team; it’s somewhat a challenge that needs to be refuted at the right time. How? Well, as paraphrased from Leeds’ statement, if Yahoo will once again think about of their users’ intention of going into their site [and focus on it], it could come back to a great fight. And another critical point from the Ask’s main man is that he said Yahoo, in the past few years, has focused on ads and money-making. It matters; but up to what degree? Ask.com is about “questions and answers” and it has 3.5 percent of the search market. Should it proper to conclude that it is mainly the focus or goal of the search engine that matters most for the searchers? It’s possible and any webmaster can even add to it that it’s also on how the users are being treated or how the search engine meets their needs. That’s congruent to Google’s current update when its team says that their focus is the users and not the optimization of webmasters. Is that what made them on top? How about the rules? • It’s quality over quantity of links for Google, but it’s the opposite for Bing. • Google avoid keyword stuffing, while Bing requires keyword density. There’s really a huge difference between the Google and Yahoo+Bing, and probably that’s what makes their search ranks not “nearly the same”. And as this is the reason, it just proves that their rules and goals really affect the perception and preference of the users.